The Royal Botanic Garden Sydney is a major botanical garden located in the heart of Sydney, New South Wales, Australia. 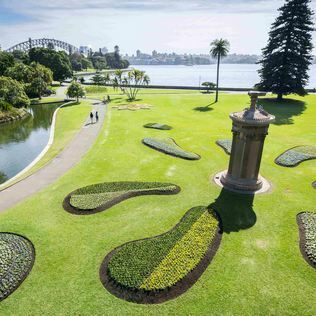 Opened in 1816, the garden is the oldest scientific institution in Australia and one of the most important historic botanical institutions in the world. Its stunning position on Sydney Harbour ensure it is one of the most visited attractions in Sydney. 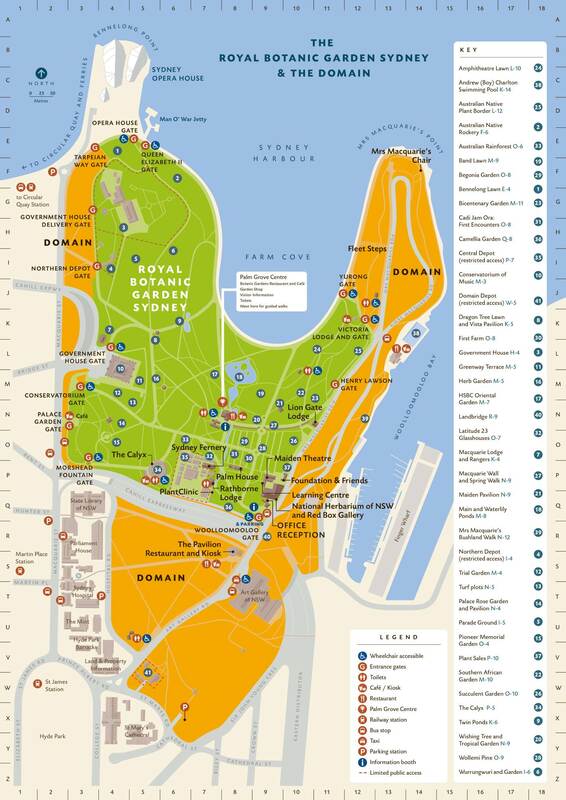 The garden is divided into four major precincts called the Lower Gardens, the Middle Gardens, the Palace Gardens and the Bennelong precinct. Within the four major precincts are many smaller gardens and features as well as large amounts of lightly wooded lawn areas. Home to 21508 plants and 8023 different taxa.